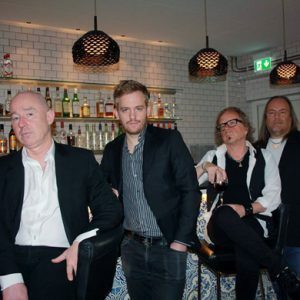 (L to R) Peo Pettersson (Vo & Hammond), Mauritz Pettersson (Ds), Peter Andersson (B) & Roger Ljunggren (G). you start PAL after those years? Roger Ljunggren: Peter and I (Roger) met in a grocery store in Skara , just as Peter had return from some time in Spain – We said we had to meet and catch up and so we did – I had recently recorded the album Peo “Welcome to the Party” and Peter was then working with the Mean Streak album “Blind faith” with Max Norman – We discussed doing something together for the first time in many years so I began recording some song ideas for this and Peo Pettersson was the singer we had in mind, as we both have worked with him earlier for many years and his voice would be perfect – the first song we did a demo of was “Leaving this town” – we were very satisfied with how it turned out and the band PAL was then a fact. and the story when he joined PAL? Roger: Both Peo and Peter was aware of this young session drummer’s skills and had known him for some years – So he was asked to do the drum work for the album – and he did a great job and was just the guy we were looking for. And the name of PAL is from you guys’ family names, is there any other sense of it? For example PAL as friend, the video system in Europe, Africa, ACEAN countries etc. Roger: PAL has just as you are saying a couple of different meanings – Foremost it is the Family names but also the meaning as friend is equally important – we are old friends making music together. Roger: To be totally honest the favourite tracks is different from time to time – It is hard to choose just a couple. One very interesting thing is that we have seen the lists from European Rock radio stations – Every song of the album has been played! Never happened to us before – so I think we have made an album with music suiting very many tastes and with quite strong melodic quality at the whole. The song writing will also for our next album be by Peter and Roger.The inspiration music wise is from all the music we grew up with, but also from more modern stuff we like these days – for example the Post punk genre has a lot of energy that we all like. The lyrics are from Life itself – both from the past and from the life we are living today. The song is about the fact that so much in our lives happens by accident or chance. We are all very occupied with making plans and try to shape our fate but really there are so many things we can never be in charge of. Life is a journey. In this lyric I use different places in the US to tell the story. The story is really about life and to always try to hang in there and make the best of it. This song deals with the fact that relationship is tricky business. When one has been hurted too many times it might be easier to just stay away from love and traditional life. This song is about the fact that as a touring musician with kids waiting at home it´s almost like living in two different worlds. One day stuck in airport somewhere waiting to board and the next trying to comfort a sick kid at home. Wildfire represents a feeling that we are trying to find in our music. a feeling something rising and getting larger than life. The intention is to pass on a happy good vibe. Looking back in a photo-album can raise memories, good and bad ones. Lost loved ones and relationship that is over. The question is inevitable – What would have happened if we would have fought it through ? What could we have become? Love that is fading out, the moment when we realize that there is really no way back. This song is about betray. From lover or maybe a friend. When someone you really trust and believe in turns out to be false. It takes some energy to come back from there. About growing older and a little bit smarter. About picking your fights and not use energy or power on people that do not deserve it. Or to sometimes realize that it´s time to retreat and draw new plans. Leaving this town is about seeking new paths in life and the way we are living. 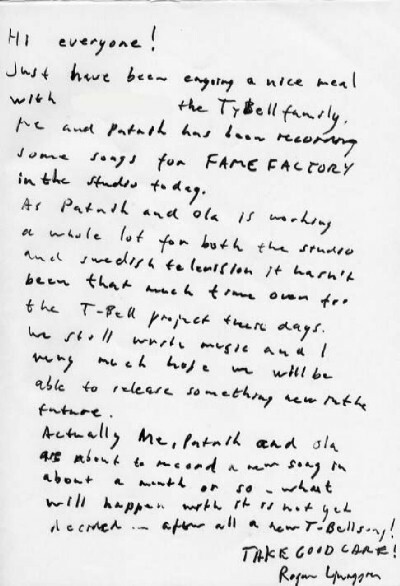 The first song written for PAL. This is a declaration of unconditional love. A celebration of the feeling when everything feels right. One would think that we should be smart enough to learn from past mistakes, sadly it seems we are not. We keep on repeating them over and over again ending up wondering why. Why is it so ? I have no idea ! What is the biggest difference between other bands you guys ever played for and PAL? Roger: I think this time we are not so very locked in to do the Old School AOR and Melodic Rock as we have been earlier and in other bands – We take inspiration from more recent Rock music, sometimes even Pop music and blend it in with more traditional Rock arrangements – I think what we are trying to do is a Feel Good kind of Rock music with a lot of energy and positivity as the most important ingredients. This time you guys have got a deal with ANDERSTEIN MUSIC in Japan. Their company is in Nagasaki prefecture in kyushu, the big island of south Japan, far away from Tokyo. How did you start having a contact with them? 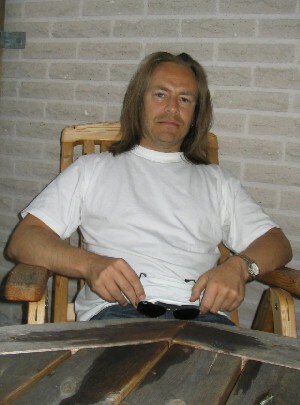 Roger: The contact with ANDERSTEIN MUSIC was a deal made by Georg Siegl of AOR HEAVEN. 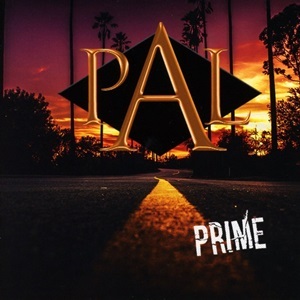 Peo have had connection with the company earlier , but Peter and I have only worked with Marquee Avalon up to this date, but we are sure this will be great – Many good bands are on this label so it is a great honor to release PAL “Prime” with ANDERSTEIN Music in Japan. Your message to Japanese fans who visit S-ROCK site. 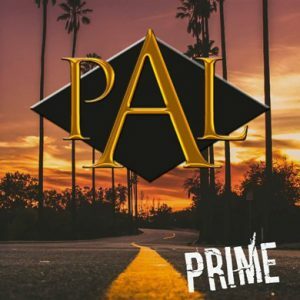 Roger: It is a great honor for us to release The PAL Prime album in Japan – It is a real Feel Good album filled with many strong songs that we hope you will take to your hearts. So – Put the record on and Let’s Rock! This time we had an e-mail interview with Roger Ljunggren (G) and Marcus Persson (Key) for NIVA. Japan exclusive actually. 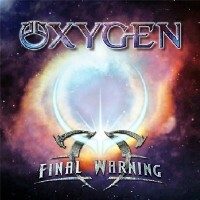 NIVA has changed their band name to OXYGEN and will release FINAL WARNING album from ESCAPE MUSIC in U.K. on the 22nd of June, 2012. The album includes “Bring Back The Joy” as the bonus track for GOLD FROM THE FUTURE which was released in Japan in 2011and taking “Final Warning” away. The album jacket is changed as well. 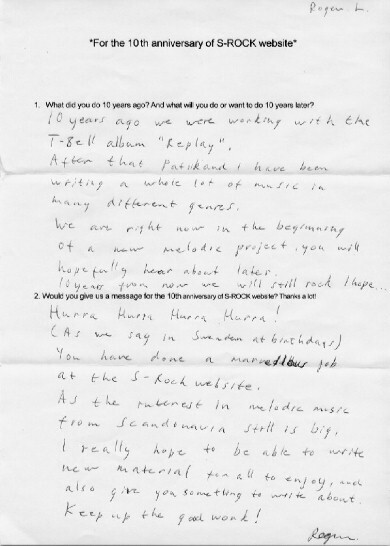 S-ROCK: Roger, it’s been a long time since T’BELL released REPLAY album, after that you played for GRAND ILLUSION and other bands and projects. And this time you play in NIVA, what do you feel when you’re back as a member of a band? Roger: To be a member of the NIVA band is really great – all of the involved are very professional and easy going – I do not think I’ve been in a better constellation ever. The fact that we live really close and also hang out on a personal level makes this project an ideal situation for the creativity. S-ROCK: Marcus, this is the 1st time to have an interview with you, would you introduce yourself to people in Japan? I heard you wrote a song “Lady Luck” for a Japanese singer called Yuka Masaki, would you let us know about it? And which band/artist is your favorite? How about your favorite album and song? 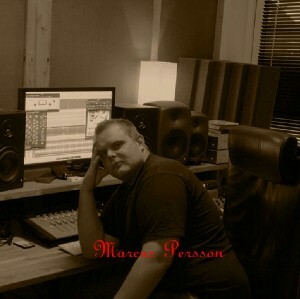 Marcus: I’m Marcus, 32 years old, songwriter and producer, since the early teens. I’m very glad to be able to do an album for the Japanese market! This is the very first time I’m doing a rock album like this, with the touch of the 80’s and I really love it! I write everything between traditional Swedish dance music, pop, R&B to melodic rock! Just before this NIVA Album Yuka Masaki released her single “Lady Luck” which I wrote and produced, the song is also the first track on her Album! So this may give you a hint of the big variety of music I write and produce. My favourite music is very hard to answer, because I’m just in love with the music, but if i have to decide, it will be CHICAGO 17 and TNT – INTUITION. 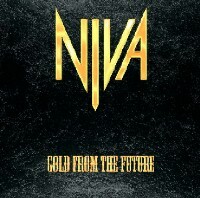 S-ROCK: GOLD FROM THE FUTURE album has been released in Japan. Very melodic, full of 80’s taste. Which song(s) is your favorite? How you guys have an idea to compose/write lyrics? I hope the album will be released in Europe soon as well. Roger: For us the favorite songs for me are hard to say, it changes over time, but I can say we’re quite satisfied with all the songs on the album. Usually when we write the music comes first. Roger records a guitar arrangement with the melody to just a click-track, then Marcus takes over and starts with the arrangements. When the song has a “frame” we both meet up and we’re starting to do an advanced demo. This will be sent to Tony, so that he can make his input in the song . Lyricwise we try to vary the themes a lot, both love songs and songs with a deeper end. We really hope the album will be out in Europe too, as we have a lot of people that are into melodic rock here as well. S-ROCK: And we’d appreciate if you guys describe each track as both of you guys composed/wrote lyrics all the tracks. 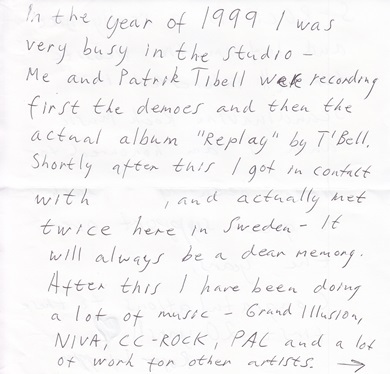 And Patrik Tibell joined you guys for the track “I Remember”, you 2 won’t work together as T’BELL any more, Roger? 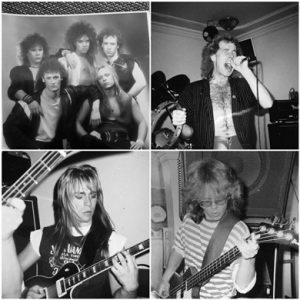 Roger: Janitor of Love: The song that actually started the NIVA project – I played the riffs for Marcus and asked if he could consider writing some melodic rock with me, and he was totally with me there. We called up one of my favourite singers of all time – Tony Niva, and here we are today! Anything For You: A song flirting a bit with the old Ozzy sound that we all love! When Tomorrow Never Comes: Sometime each month when the paycheck arrives, Some people getting out to party and feel like a king for a day, or a night maybe. I Remember: A lovesong that was never finished when I worked with Patrik, so we took it up and finished it in a very nice way I hope. Gold From The Future: A very nice melody in the neo-classical style. Tony came up with the idea to the song, and we liked it so much it became the tittle track! We Must Fight: Another great song idea from Tony, arranged by me and Marcus and despite the important message in the song it is very positive and uplifting. I Wanna Know For Sure: A classic rock song with a love theme, the solo somehow sounded like early Lukather – don’t know how that happened! Final Warning: Can you put an ABBA-like melody in a speed metal song – You bet! Best Days Of Our Lives: It is a classic theme here – Carpe Diem – Seize The day, and the song is also here best described as classic rock I guess. You: A classical love song with a hint of CHICAGO in the arrangement – Here we used a Telecaster for the solo, to get the right vibe and feeling – a nice ending of the album we hope. The Bonus Track: Bring Back TheJoy: Where Have All The Good Times Gone? Life today is a lot different from the life many of us lived in the 80:s – but we think the main difference is inside ourselves, and if we try we can get back to the positive, easy going life we once lived. 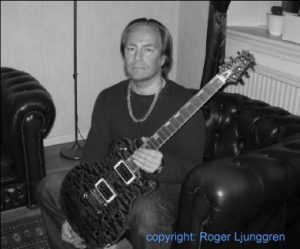 I do not know if there will be any more T’BELL songs recorded – If Patrik wants to I will of course provide the guitars! S-ROCK: Tony Niva told that he would like to do some gigs of this album, how about you guys? Roger: To be able to play live and tour, we must have a little more than 1 album out to fill a full show, besides we will see if there are enough people that actually will be interested in seeing a NIVA show – but if that is so, we would love to play live of course! S-ROCK: Marcus, What is your goal as a musician? How about as yourself? And what do you image from a word “Japan”? Marcus: Today I’m very satisfied with all the music and productions I’m involved in. I think the “thing” is to have good musicians around me, without them i wouldn’t be anything at all. Treat your friends as you wanna be treated by them! Sometimes I wish the days would be longer than just 24 hours! Unfortunately I haven’t been able to visit Japan but I wish I’ll some day! 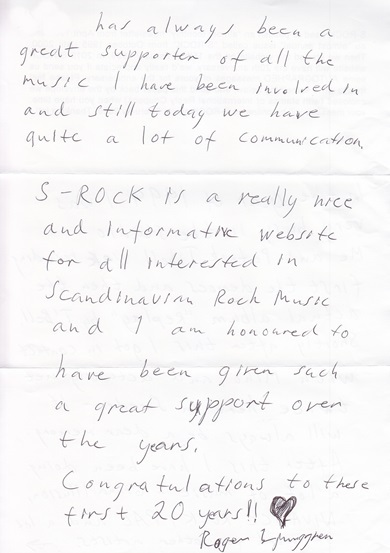 S-ROCK: Btw what do you think about Pirate Party which is originally from Sweden as musicians who have rights to your own materials? Roger: As long as internet is a part of our life, we will have to accept the way people use it, both for the bad and good, some steal the songs, some pay for it, but as long as we can get the project going, I am happy to spread my music to as many people as possible! S-ROCK: What is “gold from the future” for you? Roger: If we can make music today that will be liked and appreciated for many years to come, I would be very happy – If this will happen, then our album will be gold from the future in a way. S-ROCK: Would you give a message to your fans in Japan? Roger: We really hope that you will like the album “GOLD FROM THE FUTURE” – We tried our best to do an album that will bring joy and energy to the listener – We really think that it is important that the melodic rock genre will live on for many years to come! We’re looking forward to the new project! 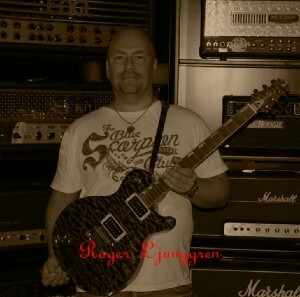 Roger has been working hard as a studio musician and to compose great songs. T’BELL has been having a long break as Patrik and Ola have been too busy to have time, they’re trying to find some time to work for a new song of T’BELL.